If you're looking to lose weight, you may have tried a cleanse or "detox" in hopes of a quick fix or a means of kickstarting a happier, healthier you. Perhaps you counted points, calories, grams of fat or carbs you consume, or cut out an entire food group. The dieting industry is a multi-billion-dollar industry for a reason: It doesn't work. How many years on the first of January have you resolved to lose weight once and for all, only to find that by Valentine's Day, your motivation and willpower are nowhere to be found? No matter what day of the year you declare as your start date for weight loss, if you're employing methods of deprivation, restriction, strict counting or excessive exercise, you're dieting. To become a registered dietitian, you must meet several extensive academic and professional requirements, including a national examination from the Commission on Dietetic Registration. Most registered dietitians also receive their master's degree in dietetics. Finding someone with so many years of training and hard work who can guide you in your journey to health is attractive to many who struggle with weight loss. She continues, "Being able to distinguish when our body is asking us for food, versus eating due to boredom or stress versus not eating at all is the first step. A major tool in this step is teaching clients the hunger scale, [on a scale of one to 10 with] one being the hungriest and 10 being the fullest." Research repeatedly proves that your kitchen's blueprint may be the secret to your weight-loss success. By reorganizing your kitchen at the beginning of the year, your chances to effortlessly lose weight dramatically rise. To start, clear your kitchen counter of all tempting foods, especially cereal and soft drinks. Notable researcher and author of "Slim by Design," Brian Wansink, Ph.D., led a 2015 study in which more than 200 kitchens were photographed in Syracuse, New York. "The Syracuse Study" became dubbed the "20-pound cereal box" study based on the fact that women who had breakfast cereal on their kitchen counters weighed 20 pounds more on average than those who didn't. Those with soft drinks left out? They weighed a shocking 24 to 26 pounds more! Finally, keep healthy foods, like pre-cut vegetables and fruit, at eye level in your refrigerator and pantry. You're more likely to grab pre-sliced pepper strips as a snack than if you had to first wash and cut a pepper every time you go looking for something to munch on. Cording says, "This helps [my clients] pick up on patterns related to stress and emotions, and whether certain people or situations trigger them to choose foods or engage in behaviors that don't support their goals." Various studies support food journaling as a beneficial self-monitoring tool for weight management. Cording states that her clients who spend time journaling about their feelings feel calmer and more clear-headed, benefits which "also support making conscious choices about their food and exercise." You want what you can't have, which is why eliminating entire food groups often does not lead to sustainable weight loss. If you're ready to kick dieting to the curb once and for all and reclaim your health this year, don't rely solely on willpower. And if you're thinking that no, you'll never reintroduce the foods that are off-limits, science says that's unlikely. Eventually, your willpower will weaken, and these "forbidden foods" will likely sneak their way back into your diet. To have your cake and lose weight too, work to find your food freedom. Adopting an "all foods fit" mentality instantaneously lifts the veil of restriction and reliance upon willpower for weight loss, making it more likely you'll stick to your guns long-term, even if you give into temptation here or there. Give yourself some grace and acknowledge that if you allow yourself to eat previously restricted foods, you'll still be more likely to sustain healthy habits over a longer period of time if you continue to follow hunger and fullness clues most of the time. Nutrition consultant and author of "Fertility Foods" Elizabeth Shaw, M.S., R.D.N., C.L.T., works with her clients to increase their Non-exercise Activity Thermogenesis, or NEAT, behaviors. According to Shaw, NEAT behaviors are small servings of activity that are not formal exercise. Some of her favorites include routinely parking at the furthest spot from the entrance at work, when running errands or at your kid's sports game, or always taking the stairs instead of the elevator. These NEAT behaviors can add up to make a huge impact on your energy level. Researchers agree. Dr. James Levine of the Mayo Clinic and creator of the phrase "sitting is the new smoking" has been working to develop ways for office workers to move more throughout the day, noting that people can burn an extra 100 to 150 calories an hour by upping their NEAT activities. While working in some physical activity throughout the day has many health benefits, incorporating NEAT activity into your schedule is a great way to work toward your weight-loss goals no matter where you may be. As Shaw goes on to say, "The more you can add to your lifestyle, not take away, the more sustainable it becomes." Perfection is overrated and may be standing between you and your desired weight loss. You've been there: You're trying to stick to your diet when you're out for dinner one night, but there's nothing on the menu that seems to fit within the guidelines you're following. You stress out about straying from your diet, end up overeating and then stress out even more the next morning, perhaps working extra hard in the gym to "make up" for the night before. People are often surprised when I tell them to stop working out so hard. Aerobic exercise is great for your heart, but not as necessary as once believed to achieve your goals. 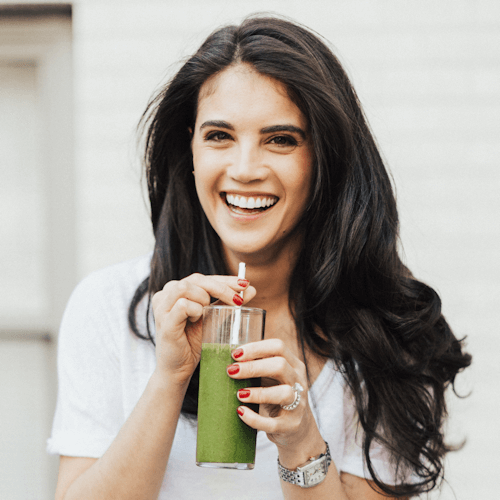 New York-based dietitian Amanda Foti, M.S., R.D.N., C.D.N. agrees: "Clients often come to me frustrated that they're not losing weight when they juggle multiple spin classes, long runs and dance cardio classes each week, but this high-intensity activity may put your body—and hunger—on overdrive!" People regularly give themselves permission to over-indulge after a particularly sweat-inducing workout, because they've "earned it." Even more, intense cardio workouts can spike inflammation and negatively affect your immune system, further thwarting your weight loss efforts. So, what should you do instead? Include more strength-training workouts to build lean muscle. Foti says, "Building lean muscle will boost your metabolism, even at rest, helping you benefit from your workout long after you left the gym!" If you're ready to feel your best, reclaim your health and form some healthier eating habits, consider incorporating these tried and tested rules registered dietitians call upon for their own clients. When you adopt a healthier lifestyle, not just a diet, you're able to sustain healthful changes for years to come. The only diet that ever worked for me is what I call the discipline diet. I develop self control and build willpower by exercising it, and with that strength I limit what and how much I eat, and I exercise to burn calories and keep in shape. This is the only diet that has ever worked for me, and it has worked very well. Except when I get weak and lazy. I have long stuck to mostly only eating healthy food; I grow a garden and put up food and avoid processed food and all that. But you can pig out on healthy food and still get fat. So the self control is essential. Martial arts are a very good exercise for this, because you can have a very intense workout that only takes a few minutes, and that makes it easy to do a few times throughout the day. It works every muscle, beginning with the midsection, it gets your heart beating really fast in a short amount of time (and keeps your metabolism elevated for quite awhile), and it takes no special place or equipment, just a small piece of floorspace. There is also a side effect that it increases your ability to defend yourself, so you get more bang for the buck as the saying goes. My trainer and I disagree about the cardio thing... I keep saying that 45 minutes of cardio every day along with 5 days of weight lifting is waaaaay too much. She insists it's the best way to see fast results. She finally started listening to me at the turn of the year. I think she finally read some of the newest literature!